In the Philippines, no study has ever been done to determine outcomes of adults with autism. Among children of parent-members of the Autism Society Philippines, there is only a handful who engages in productive work, and most of these cases are in Metro Manila. While the United Nations Convention on the Rights of Persons with Disabilities (UNCRPD) as well as the Magna Carta for Persons with Disabilities provide for equal opportunities, the prognosis is not all that positive because of the rising unemployment and underemployment rates in the country today. As part of 16th National Autism Consciousness Week, the Working Committee is sponsoring a “Forum on Employment Opportunities for Persons with Autism” The activity will bring speakers from the different Special Schools in the country to share their employment programs for persons with autism. Mrs. Carmel Almendrala, a Trustee of ASP will also share her experiences and insights on how she prepared her son with autism for eventual employment. Michael, now 42 is a permanent employee of the Philippine Information Agency. 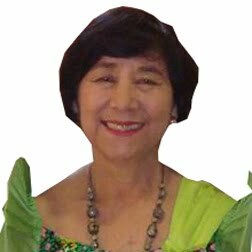 Carmel Almendrala or Tita Carmel is one of ASP’s Board of Trustees. A wife of a retired ambassador, she personifies diplomacy as you will always see or hear her representing ASP in media with poise, grace and intelligence in spite of the disconcerting circumstance of educating an ASD child. Her son, Michael now 42 years old was a gold medalist in weight lighting at the Dublin, Ireland Special Olympics for the country. He is also an independent member of the community working as an administrative staff of the Philippine Information Agency. Riza Cansanay is the President of ASP Laguna Chapter and past Director of the Autism Resource Center of Los Baños. She was a former Principal and SPED Teacher at the Cahbriba Autism Center in Los Baños. 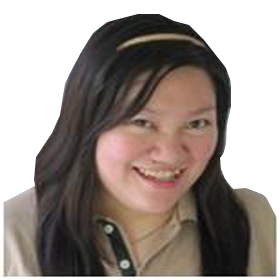 Teacher Riza, as she is more fondly called, earned her Master’s Degree in Education with a major in Special Education from the University of the Philippines-Diliman. And most specially, she is a mother to Michael, a 26yr old, adult with autism. Nina Carmela V. Almeda, or Teacher Nina as she is fondly called in school, is the Special Education Coordinator of the Independent Living Learning Centre, or the ILLC Manila. She earned her bachelor’s degree in Psychology and special units in Masters in Counseling Psychology from the Ateneo de Manila. Teacher Nina serves as ILLC’s Training Coordinator and Supervisor for SPED and psychology practicum students. She is also a trainer for the Entrepreneurship Appreciation Seminar for Persons with Disabilities under the Department of Labor and Employment (DOLE). 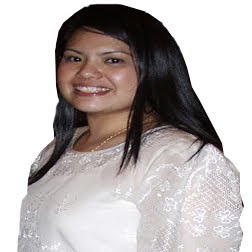 Yolanda Michelle Bautista or teacher Landa is a BA Social Science (Major in Behavioral Studies) graduate of UP Manila. 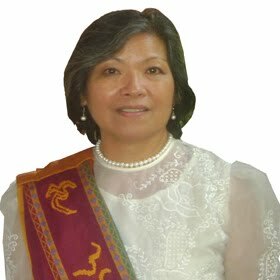 She finished her master’s degree in Special Education at UP Diliman, Quezon City. Shortly after, she finished a Social Entrepreneurship Training Program for Professionals at Ateneo de Manila University’s School of Government. Teacher Landa is the Curriculum Director of The Learning Center, Inc. (TLC).